It's finally here guys! It's the 2006 National Poetry Slam! We've got bouts, nerd slams (that's me! ;), workshops, and what we're all here for... Hip Hop! Events start Aug. 9th through the 12th at various venues... check links below for listings. Aug. 9th, Wednesday at Antone's we'll have NOOK! Aug. 10th, Thursday at Antone's we'll have Vehicular! It's a group of poets competing, usually for cash, with three-minute performances of their works. Judges score Olympic-style, with decimals, so a neo-Wasteland thrillingly intoned gets a 9.8, and the latest Hallmark drivel, muttered into the microphone, gets a 5 or a 6. 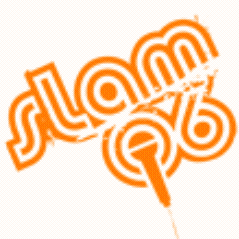 In individual cities, from Tallahassee to Portland, there's a slam season (roughly September to May) which culminates in a final showdown, which necessitates selection of a four-person slam team to represent the locals at a nationwide tournament. It is a competition that pits poem against poem, poet against poet. Poems are judged on a scale of one to ten, fractions encouraged, by a panel of judges picked from the audience. Equal parts poetry, performance, delivery and verve. And, occasionally, theater, stand-up comedy and strip tease.